Det. Fields: Are there any other stories in the collection? Det. Fields: Specifically about murder? Edgar Allan Poe: I’m afraid so. Here is an example of a film that I wish was sillier. 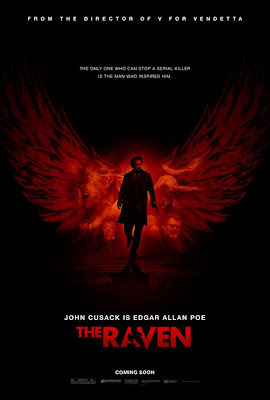 As it stands, The Raven is a slickly made thriller about a serial killer who goes to implausibly complex extents to recreate scenes from the more gruesome works of Edgar Allan Poe, but it suffers due to it not being much fun to watch. The film could have gone two ways to help itself out. 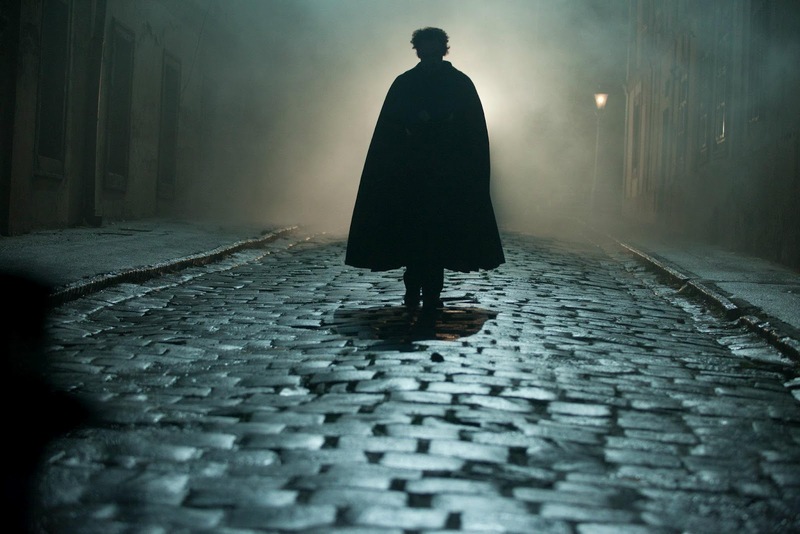 The Raven could have gone a very serious route and played out like a 19th century Se7en. 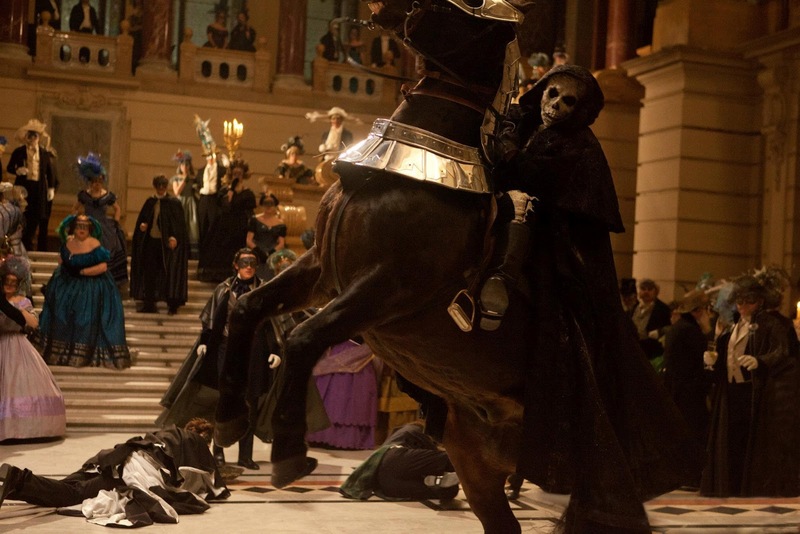 Or, the film could have added a layer of camp or more dark humor and turned out to be something like Tim Burton’s Sleepy Hollow. Unfortunately, The Raven falls somewhere in the middle; with John Cusack being the only thing to help it along, aside from some neat production aspects. The story never becomes more than bland; the other characters are equally uninteresting, and the results are fairly lackluster. What starts out as a neat idea is ultimately unfulfilling. 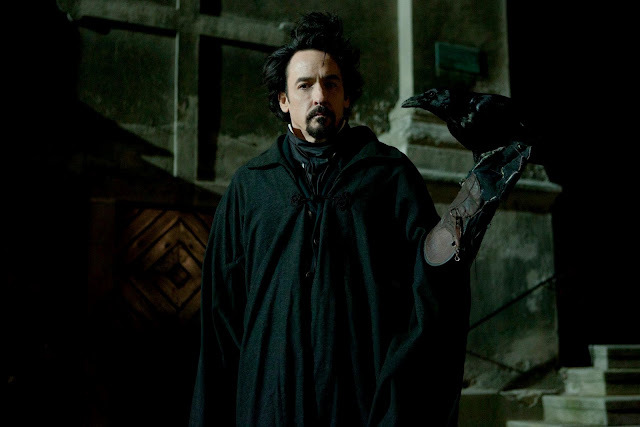 John Cusack stars as Edgar Allan Poe, the somewhat famous, but struggling writer/poet/critic, who resides in Baltimore, drinks when he can, thinks himself a great mind, and finds plenty of interest in the macabre. When a group of women are found brutally murdered, Detective Emmitt Fields (Luke Evans) realizes that the crime resembles one of the gruesome stories authored by Poe. As Poe is brought in for questioning, another murder occurs soon after, with the same modus operandi. It would seem that there is a killer on the loose, with a desire to use Poe as their inspiration. 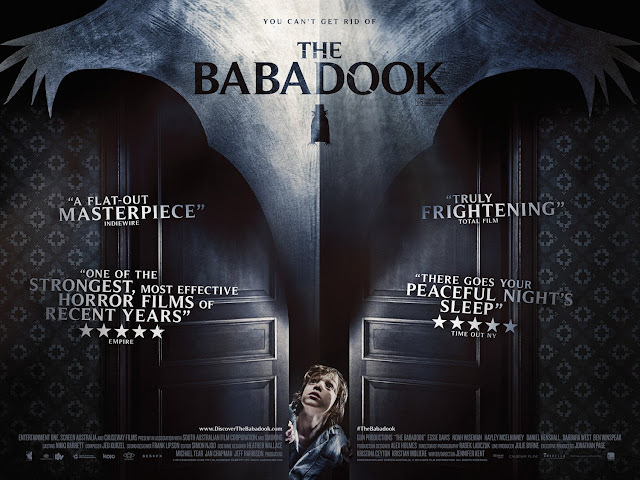 Things become even more complicated when the woman Poe intends to marry, Emily Hamilton (Alice Eve), is kidnapped and a note is left, telling Poe that he must participate in the killer’s sadistic game, if he ever wants to see her alive again. It will now be up to Poe and Fields to follow the bodies and the various clues in an effort to stop the mad killer and rescue Emily in time. Still, in following these clues, it also means that Poe may have the chance to live some of his own work and come up with even more stories. I really wanted to like this movie more, based on what Cusack was bringing to the role. Given his look and general attitude, I honestly felt he was channeling Nic Cage in both spirit and hair, which was serving the character well. Cusack seemed to be down with delivering on what Poe was, which was essentially a 19th century rock star, as the written word was the main way of becoming that sort of celebrity during that time. 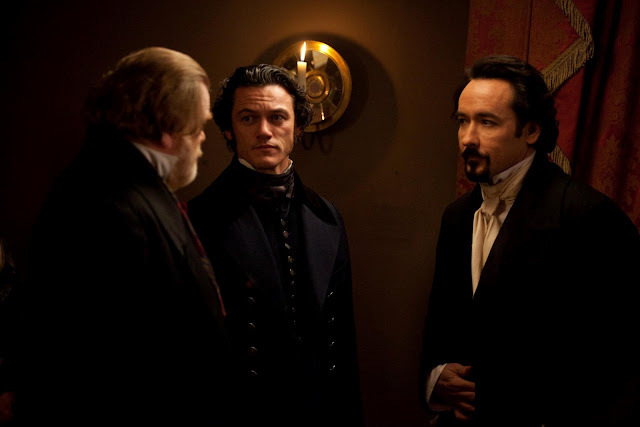 Poe’s status as a social pariah made him tough to be around, but also an intriguing individual to watch and Cusack really seemed to be getting into that aspect of the character. It is a shame that we didn’t get to see more of who Poe was, as this film is definitely more a mystery/thriller and not meant to be a biography (it is essentially a fictitious chronicling of the last days of Poe that led up to his mysterious death in real life). Unfortunately, the rest of the cast does not prove to be as interesting. I have liked Luke Evans in his various roles recently. 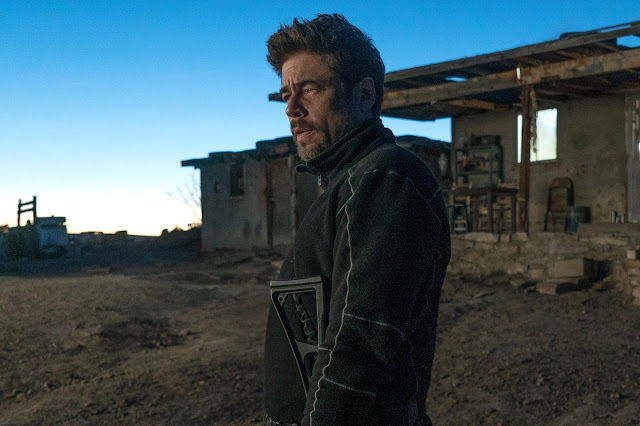 He has a rugged quality to him, which is admirable, but in this film, he does little beyond act fairly assured and concerned towards the beginning, only to turn into a man constantly yelling goofy lines in the script by its end. Similarly, Brendan Gleeson shows up in this film as an antagonist to Poe, as he is the father of Emily who cannot stand the man, but later switches his attitude in a fairly abrupt fashion. Alice Eve does not get a whole lot to do, besides look good early on and seem very uncomfortable for the rest of the film. And then Jack Sparrow’s First Mate, Mr. Gibbs (Kevin McNally), is around as the editor of the Baltimore newspaper, who constantly reassures us that Poe is a good guy, despite being a little different. I did mention that the film is fairly slick. Director James McTeigue (V for Vendetta, Ninja Assassin) tones down some of the more kinetic aspects of his visual style in order to stay more conventional and not overwhelm the period setting with too much flash, but the production values of the film are quite solid and plenty bloody. Despite my issues, the film does not mess around being too slow or not delivering on the gruesome nature of the setup. But I do find it unfortunate that the script by Ben Livingston and Hannah Shakespeare could not really match up. 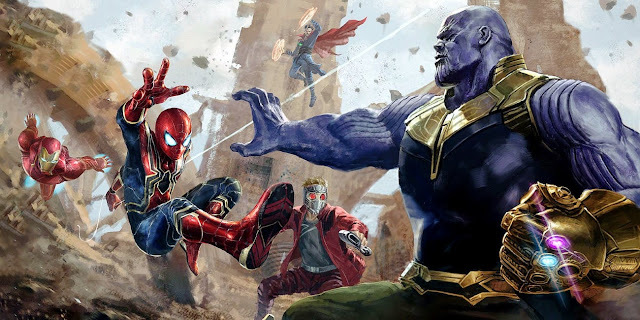 The way this story plays out makes for great ways to see lazy bits of writing not provide the film with more satisfying moments. The dialogue is, at times, way too on the nose (“Oh Emily, you are so full of life!”) and the over-elaborate nature of some of the murders (the pendulum) practically undoes what makes the tension involved so palpable. Stopping to think about things is not going to do The Raven any favors, as the second you think of the enormous lengths the killer would have had to gone to in an effort to achieve certain aspects of their plan, it is also the second a lot of the film easily falls apart. Some of this would be more acceptable if the film was, as I stated in the beginning, more fun. 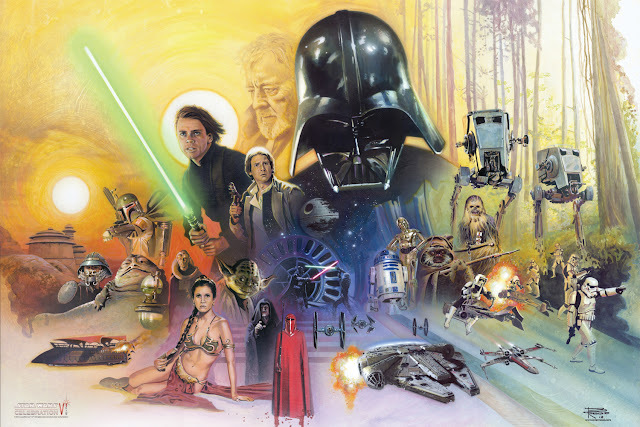 Early on, it seems as if Poe’s unconventional behavior (he is frankly an unlikable character at the start of the film), would have been able to put the film at a different sort of level. It could have been like watching House in a period setting (though I guess we have that with the various versions of Sherlock Holmes these days), but instead, after the initial introduction of Poe, the film settles for much more conventional territory, with a 19th century, R-rated coating layered on top and everyone else acting too stern, without the help of anyone choosing to ham it up for the sake of over-the-top entertainment. The Raven has some fun ideas that it did not want to make fun enough. It could have taken a number of different turns to serve as a wilder ride through the works of Poe’s literature come to life, but it instead stands as a middling thriller. 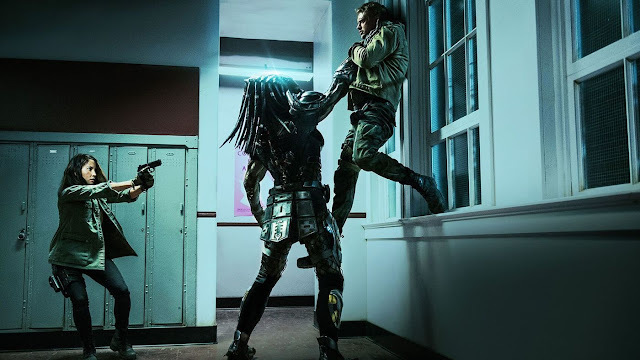 Cusask is good enough here and the film does look good, but there is not really much else to it that makes it satisfying overall. Even with mention of one of my favorite works of Poe, The Cask of Amontillado, the film does little to really ignite its intriguing central premise. Edgar Allan Poe: I’ll send you to hell!